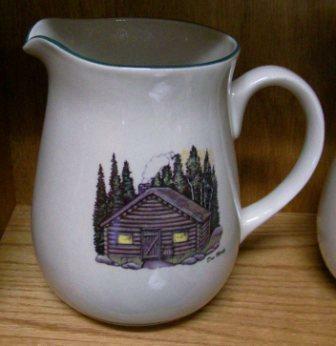 Cabin Series Dinnerware - Features a natural glaze stoneware with dark green hand painted rim and holds 70oz. Original Artwork of Rustic Cabin by Don Mintz. Decorated by hand in the U.S.A. Product is Dishwasher Safe.